Moisturizing treatment that combines the benefits of active oxygen with the benefits of chocolate, recognized for its revitalizing and antioxidant properties. This product brings the skin all the trace elements it needs for beautiful radiance. Its deliciously chocolaty fragrance delivers a real sensation of well-being. Apply to the face and neck morning and night. Aqua, Petrolatum, Glyceryl stearate, Paraffinum liquidum, Polysorbate 80, Stearyl alcohol, Cetyl alcohol, Tocopheryl acetate, Hydrogen peroxide, Parfum, Glycerin, Theobroma cacao extract, Propylene glycol, Retinol. 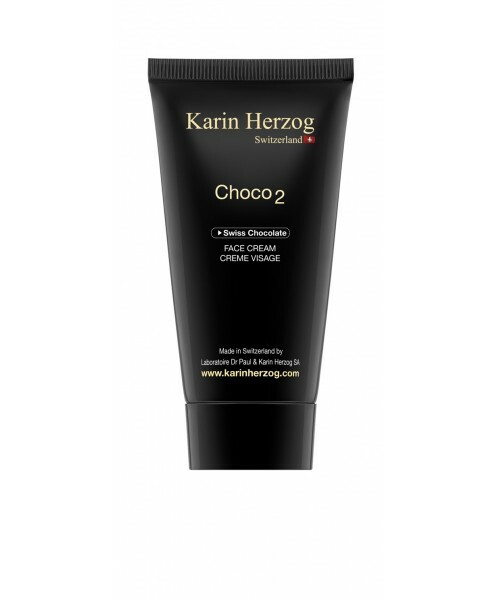 Chocolated comfort face cream Chocolate!